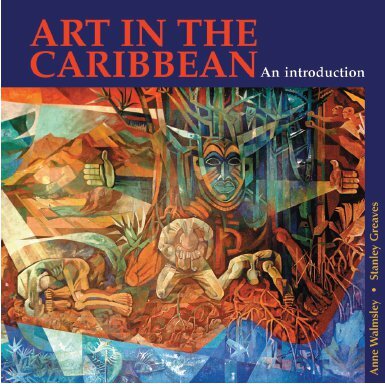 Each new book that is published about ‘Caribbean Art’ is generally speaking a valuable addition to my bookcase. My ‘Caribbean Art’ by Veerle Poupeye (1998), however useful and interesting it still proves to be, is in need of expansion and an update. I was thus quite happy with the catalogue of the same name at ‘Infinite Islands’ by Tumelo Mosaka (Brooklyn Museum, 2007). It contained at least some effort to bring me up to date visually about important artists from this region. And it was there that, to my knowledge, Suriname was really included for the first time. You will understand my curiosity for ‘Art in the Caribbean. An introduction’, a book by Anne Walmsley and Stanley Greaves that has recently appeared. After reading it, I am however left with mixed feelings. The subtitle, ‘An introduction’, should have put me to thinking. It is in fact rather sympathetic when writers do not make pretence of wanting to be complete and exhaustive. It does after all involve a vast and extensive subject ‘situated’ in a region that is not known for thoroughly documenting its own cultural heritage. A lack of means and expertise undoubtedly plays a role here. In the case of these authors however, ‘An introduction’ seems rather like a built in excuse made in advance for inconsistency and flawed information, while those deficiencies were unnecessary. 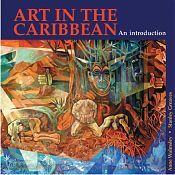 They mention in their preface that the book is in the first place intended to be a “gallery of contemporary art of the Caribbean”. Meaning, a collection of artworks including explanatory notes. With regards to the latter, it does as it says. The explanations of the different works of art are adequate and useful. There is however something to be said about the selection. In the first place, there are only 40 works of art. Rather limited for a period of more than 60 years. Furthermore, the artworks only begin to become really ‘contemporary’ onwards from 2000. As though there was no art made previously that incorporated themes and modes of expression which were in keeping with international trends and developments. Can this shortcoming be ascribed to an outdated point of view with regards to what is considered ‘Caribbean’? To some degree, yes. The authors have chosen artists who live and work in the Caribbean. Caribbean artists who have settled elsewhere were not included. That’s something that is difficult to keep up for non-European and non-American artists in general. Those in fact define themselves – by nature or compelled by limiting circumstances in their homeland – by a great wanderlust. Is Meschac Gaba, just to mention a random example, no longer an African artist because he has been living in Rotterdam for some time now? Is Remy Jungerman not Surinamese because he works in Amsterdam? Is Marlene Dumas South-African or Dutch? But aside from this point of view, does not the conservative choice of the authors also have something to do with their own, somewhat conservative view on art? I’m afraid so. The ‘new media (photo, video) and installation art for example are clearly under-represented. In and of itself it is praiseworthy to provide, next to the gallery of works, a historical background of the various (is)lands within the Caribbean. That knowledge is lacking amongst many interested parties, that knowledge makes looking at and understanding Caribbean art a great deal easier. The book is after all especially intended for students and “anyone with a serious interest in the visual arts”, not for experts. Information however, is only information if it is correct. If I limit myself to the section about Suriname, then according to the authors, there was hardly anything going on roughly between 1990 and 2005. This does no justice to quite a few people and organizations. In the preface the authors state that it is sometimes difficult to gather information. That is undoubtedly the case. About this part of the Surinamese art history however, they could have received help from numerous persons in the field who can be contacted easily and also from publications such as ‘Visual Art in Suriname’ (2000), ‘Wakaman’ (2009) and ‘Paramaribo SPAN’ (2010). It is also noteworthy, that the preface suggests that the book is up to date until 2010, while the extensive bibliography – incidentally quite valuable –in the case of Suriname for example, ends in 2002. You can have a difference of opinion with authors who write about a certain subject. That is perfectly all right. That stimulates the discussion and that, especially when it concerns ‘Caribbean Art’, can almost be seen as an advantage. If however, you ‘catch’ them at being insufficiently informed, you start doubting their entire work. What else is not correct that I as “anyone with serious interest in the visual arts” may have failed to notice? Should students be allowed to blindly accept what is in this book, or should they approach it with some degree of suspicion? Actually it is quite courageous of the authors to include this point of view. They most probably did not suspect that after reading this book, the words of Laughlin would become a very sensible recommendation. Rob Perrée works as freelance writer, art critic and curator, specialized in contemporary (Afro-)American art, African art and art that incorporates new media. His work has appeared in numerous catalogues, books, magazines and newspapers. He is editor of the Dutch art magazine ‘Kunstbeeld’. He is currently working on a contribution for the book about Marcel Pinas which is to be published in June of this year.